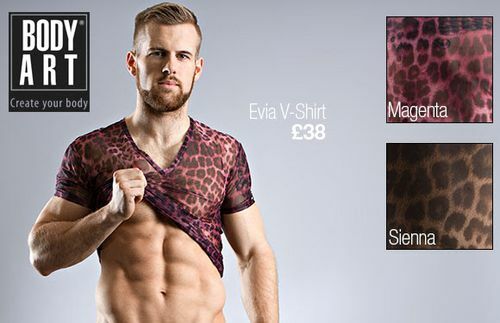 Dressed with sexily sheer stripes this new Kyra Range for men by Body Art reveal just the right amount of skin. Available in three different styles choose from the Mini Pant, Hop Slip and String. This Kyra String features a semi opaque pouch that uses one layer of stretchy matt yarn which looks fantastic teamed with the sheer and block stripes of the body fabric. This is one chic men’s brief. This Kyra Hip Slip is not your average men’s black thong. Its pouch is created from a beautiful matt microfibre which sits in one layer over your crown jewels for a sensually close fit. The sides and scanty back alternate sheer and opaque stripes. Shop men’s designer underwear by Body Art now.